Let me just be honest & say that I can’t remember the last time that I sat down to watch an entire Grammy’s show. Typically, I just wait until all the social media commentaries and clips come out and that is precisely what I did this year. But the events from this year are making me move forward with something that has been on my heart… JTP’s side eye symposium. There are so many things that warrant the side eye in life, and I’m here to talk about mine. So, in my side eye symposium series, I will cover the various events, happenings, etc. that I think would warrant a fictional session in my side eye symposium. 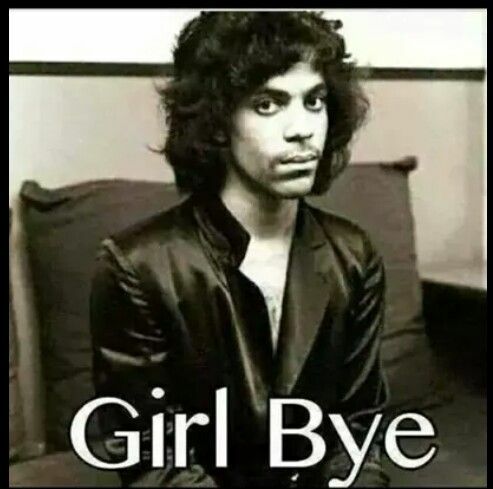 The level of side eye that I give to each event will typically be ranked from Level 1 to Level Prince (aka 5). There are a lot of commentaries on why the Grammy’s were problematic this year, so I won’t rehash those. Today, I’m focusing on a few of the nuanced events that happened surrounding this year’s Grammy award show that I am incorporating as a session in the symposium. Yesterday, I read an article about India Arie’s experience with Lady Gaga’s security guard. According to the source (and India.Arie’s tweets), India Arie was reaching out to greet Lady Gaga, but was “swatted on the hand” and “touched aggressively” by her security guard. India.Arie navigated this exchange with lots of grace, online, explaining that her sole issue was with being touched by that security guard (here I will add aggressively and without consent, but those are my words). Far too often, we see this societal pattern and belief that keeping a woman in check physically is normal and within the constraints of some acceptable end (u.e. getting the job done). It’s inappropriate and far too often, a verbal discourse would be sufficient in the conflict resolution process. The notion from the mansplainations that Gaga’s body was not to be touched, while India Arie’s body was allowed / acceptable to be touched aggressively and swatted is incredibly problematic. When I look closely at that notion, and those who are apt to defend the bodyguard’s actions, I can’t help but to see the undervaluing of the body of a woman of color. As India.Arie vented on Twitter, it did not take long for people to begin with their arguments. Meanwhile, that experience was her experience. She was explaining it from her point of view, and a corporate group took to social media to say (in so many words), “Nope, your experience is invalid… he was just doing his job”. This one is a bit stickier for me because it involves four artists / musicians / entertainers that I respect for their body of work. Those entertainers are Ledisi, John Legend, Common, & Beyonce. If you haven’t heard already, Ledisi is the artist that played famed gospel artist & singer Mahalia Jackson, in Ava DuVernay’s latest movie, “Selma”. There is a scene in which Ledisi, in character, absolutely sings the snot out of the hymn, Precious Lord. In this year’s Grammy show, however, artistic rendering of that song was given to Beyonce, as per her request. I will let you draw your own conclusions on the performance. So, let’s dial back and then I’ll give out my side eye. How did Beyonce get this gig in the first place, if Ledisi was the one who sang it in the recent movie, Selma? She asked. According to sources, John Legend explained that “You don’t really say no to Beyonce if she asks to perform with you.” My heart was sad… because I love John Legend. I love his activism and philanthropic work, and there’s no denying his musical talents, as well. I also love Common and his socially conscious rap and acting pursuits. But in this particular moment, I gave them both a loving level 1 side eye (it broke my heart, too). Why? Because there are some real implications when you say that you could not say no to Beyonce, even if it was at the expense of Ledisi… a colleague in the very movie that you worked on. Ledisi never received the implicit no. So, what made it so easy to say no to Ledisi in the Grammy’s format, after her being cast to sing this song in Selma? And why aren’t people talking about this while fixating on dualistic Beyonce versus Ledisi rants?! Something about the notion of crafting media narratives that pit two women artists against each other sounds alarmingly like…something I’m not here for. When we peel back those layers, we also understand that neither Legend nor Common are the final decision makers of who gets to be on the Grammy platform. So I’m giving Grammy board members, execs, (‘n nem) a level 4 side eye. I’m not sure why we are equating levels of celebrity to technique within a specific genre of music. When I initially heard the story, I was not sure if there was colorism going on, to be perfectly honest. I’m not sure if this is another way that popular media outlets and big-time-peer-reviewed spaces are keeping DuVernay’s work and interpretations out of the spaces that need it most. For these reasons, they get the level 4 side-eye. I’m passing them out pretty liberally today. Note: I am accepting submissions for bloggers who want to host a session in the JTP Side Eye Symposium! Contact me & let’s chat about it! Posted in All, Arts & Entertainment, JTP's Side Eye Symposium and tagged entertainment, Grammy's, india.arie, side-eye on February 12, 2015 by Jade T. Perry.